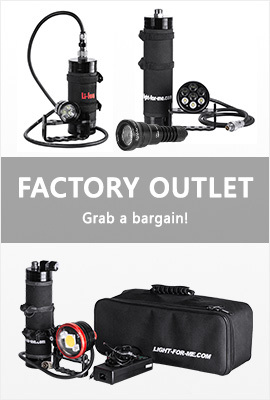 Light For Me Backup 3XPG - up to 1000 lumens, 16 degrees. 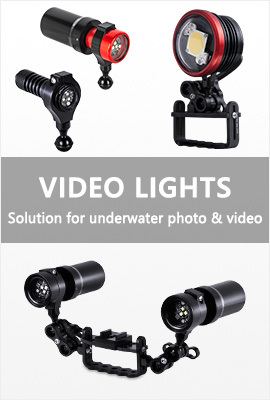 REDSTAR MINI RCA Video Light - powerful and bright, great for underwater photography and videography. 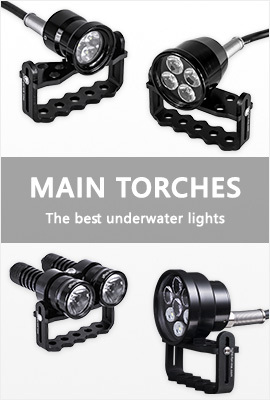 Light For Me 3XML Video Light - powerful and bright video light with built-in battery pack.